Our work would not be possible without the generous support of art lovers and patrons like you. As our founder, Judy Voigt, likes to say: “The best partnerships are where everyone does what they’re good at.” What we’re “good at” is working with schools, businesses, and cities to install art where it can be seen and enjoyed by all. The art is world-class, but it’s never locked up in a museum or a gallery. We can’t do it alone. 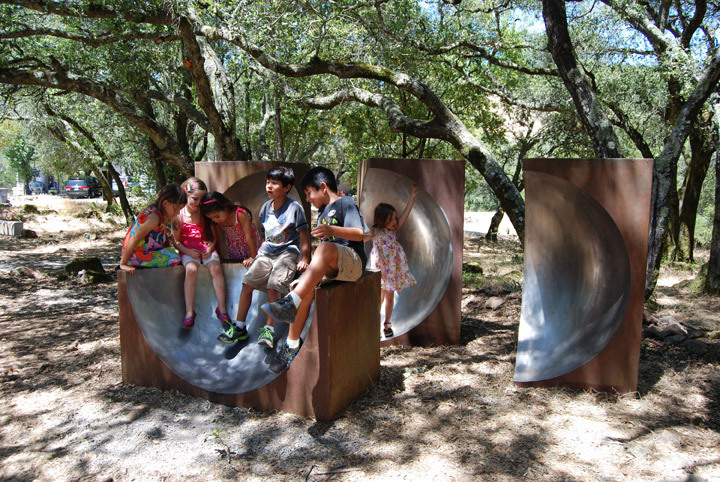 Sponsoring young artists, working with permits, installing art, and promoting the outdoor sculpture experience all required resources, and we urge you to join us in making Sonoma County a world-renowned destination for art lovers. The Voigt Family Sculpture Foundation is a 501(c)3 private operating foundation, and we would gratefully accept your donation via the PayPal button or by mailing a check. For more details about donations email ray@celebratesculpture.com The Voigt Family Sculpture Foundation mailing address is 400 Breezewood Drive, Geyserville, CA, 95441. For general information email info@celebratesculpture.com.